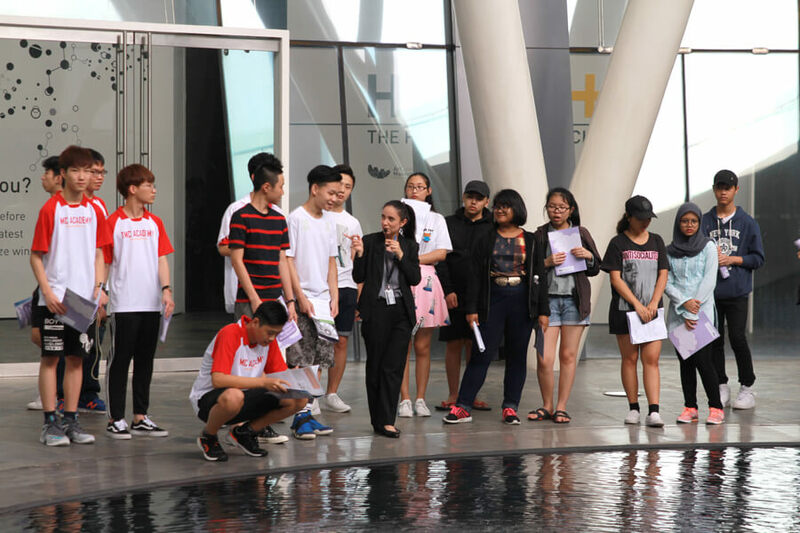 On 27th July 2017, the TMC College students went on an excursion to the ArtScience Museum. 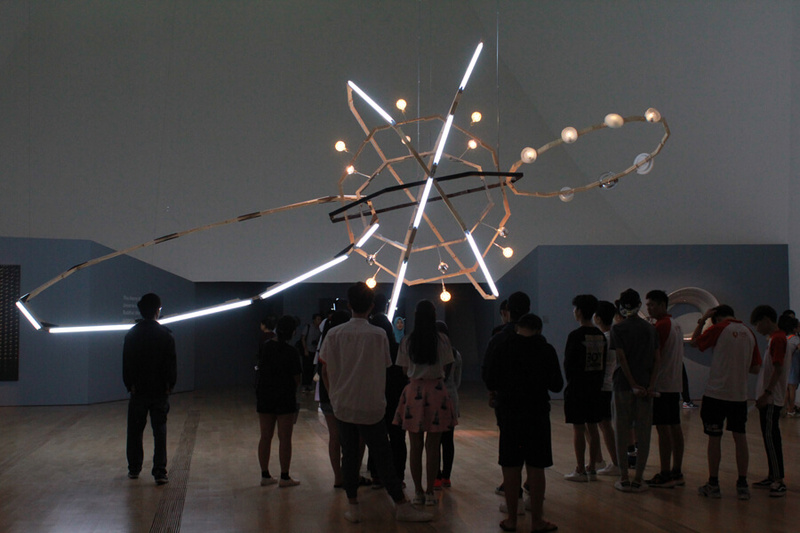 They were to attend an “Architecture Adventure” workshop, and view an exhibition entitled “the Universe and Art”. In today’s educational environment, a theoretical knowledge of textbook scientific concepts is no longer sufficient. Students must know how their world works, and be able to apply their learning laterally to related subject areas and technologies. Topics once regarded as ‘general knowledge’ are now key to gaining an edge in the new world. Students assembled in school at 9am, where Mrs Raji started their activities for the day. 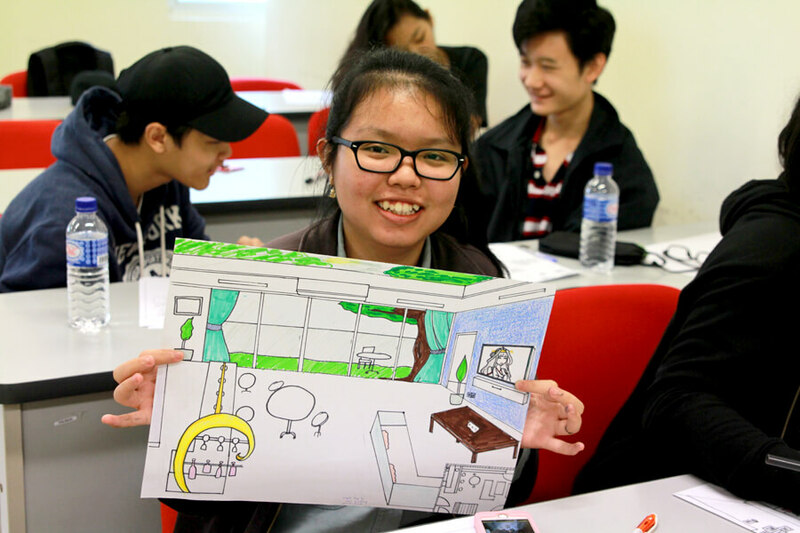 As the learning theme for the day was design, students were to create their own artworks. They were to choose a room in their home; harnessing their imaginations towards re-designing and furnishing it to their ideal. The students had fun detailing and colouring the pieces to reflect their tastes. A little red… blue… and what else? Students forming into groups for the next activities. After lunch, the students were organised into groups. 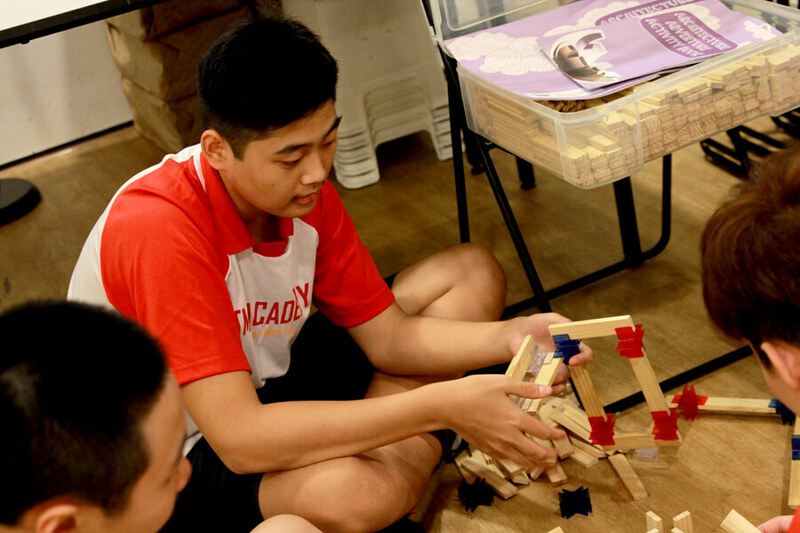 This was preparation for the “Architecture Adventure” workshop, but also served to foster a sense of responsibility in the students as they were tasked to take care and keep track of their own group members as they moved from point to point. No leadership roles were assigned this time; natural leaders would rise to the occasion – these could be identified and considered for appointment as Yellow class representatives in the near future. A short tour of the Museum as a good start. 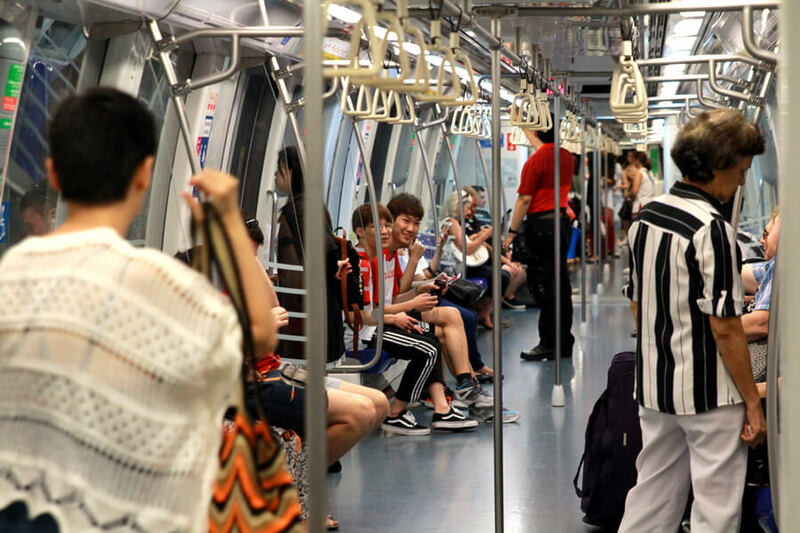 The class travelled together via train to the ArtScience Museum, where they were immediately taken on a short tour of the museum. 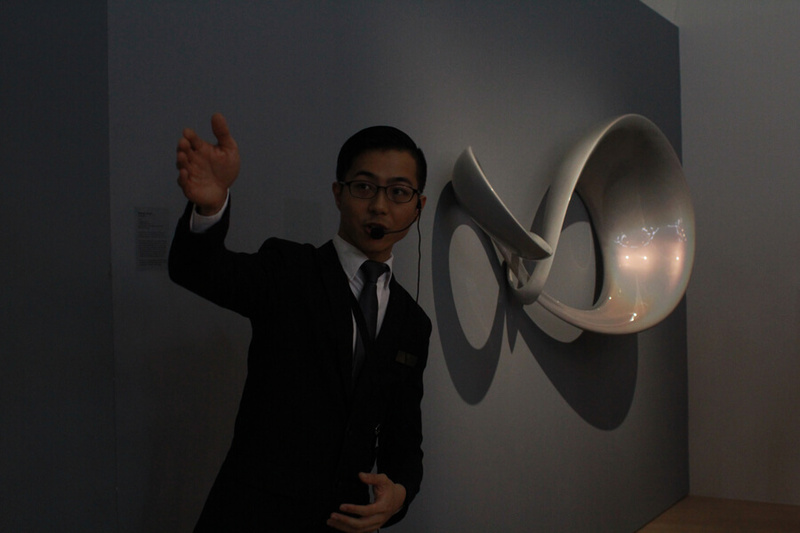 As a lead-in to the workshop, the museum guide gave an introduction to the concept of structure and sustainable design. 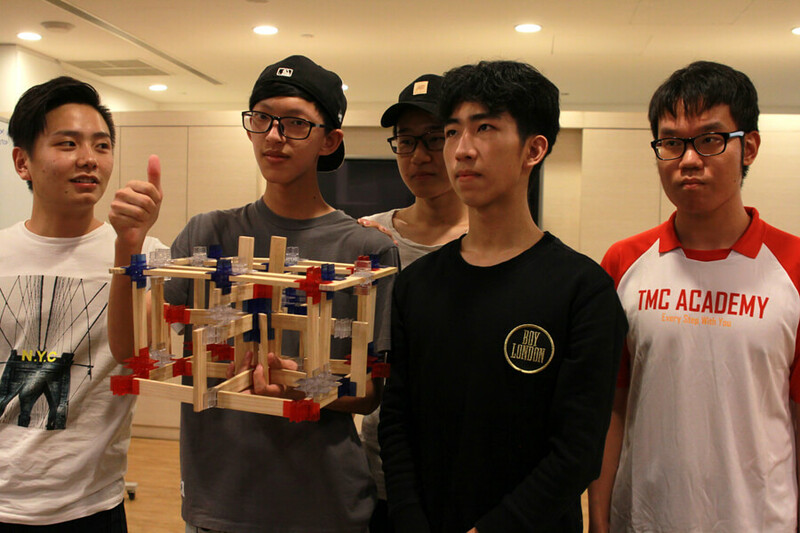 The students were interested, and some even showed surprising knowledge of design considerations and solutions! Fun and learning is possible! 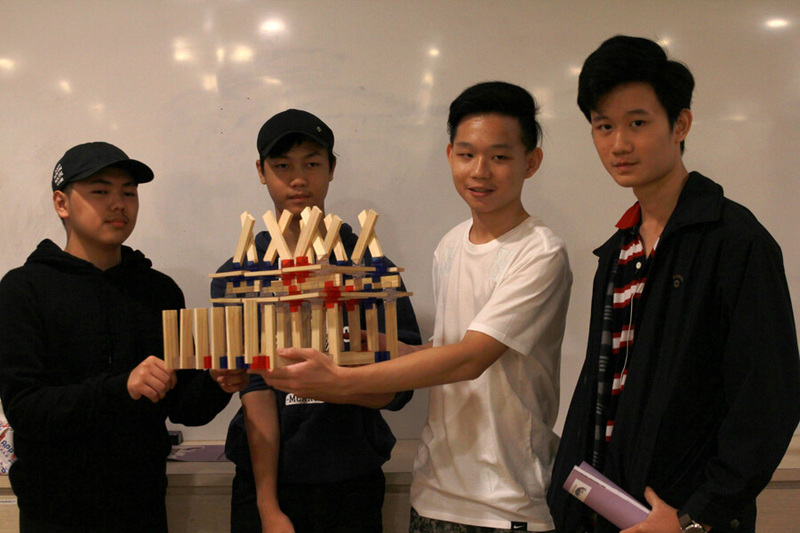 Students assembling their own architecture building. What’s more fun than applying what you’ve just learned into action? 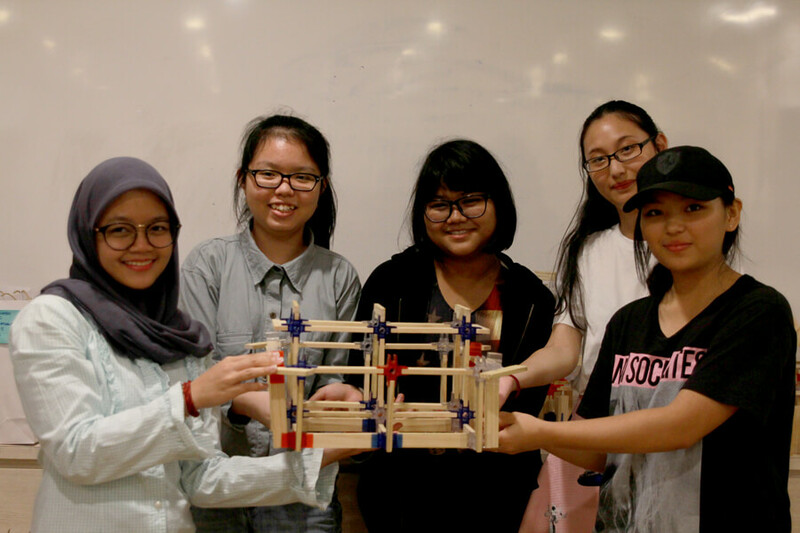 They were especially excited when tasked to design and build stable structures in their groups, and were completely engaged in crafting their ideas with the wooden blocks and plastic connectors provided. The finished products were then tested for strength with a large stack of magazines – to their delight, every one of their creations held firm! From here, the students were then led up to the galleries for “the Universe and Art” exhibition. 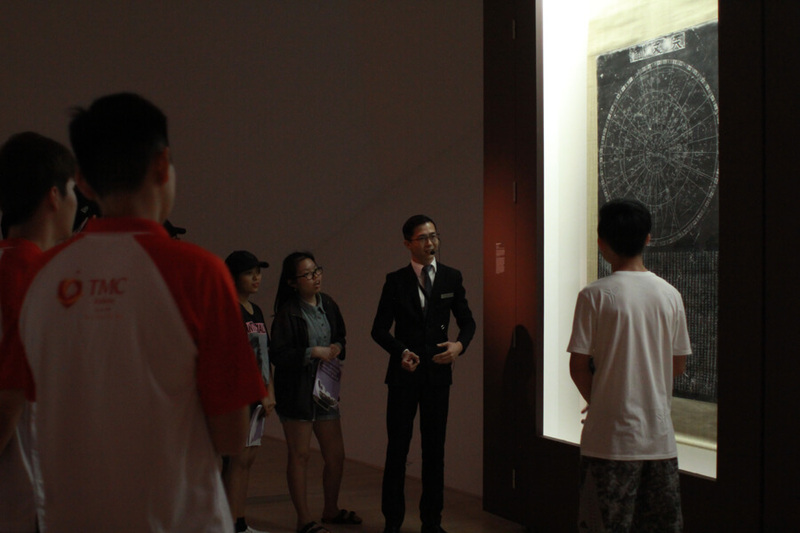 Even though they were overloaded with information from the exhibition, the students were evidently interested all the end till the end of the tour. 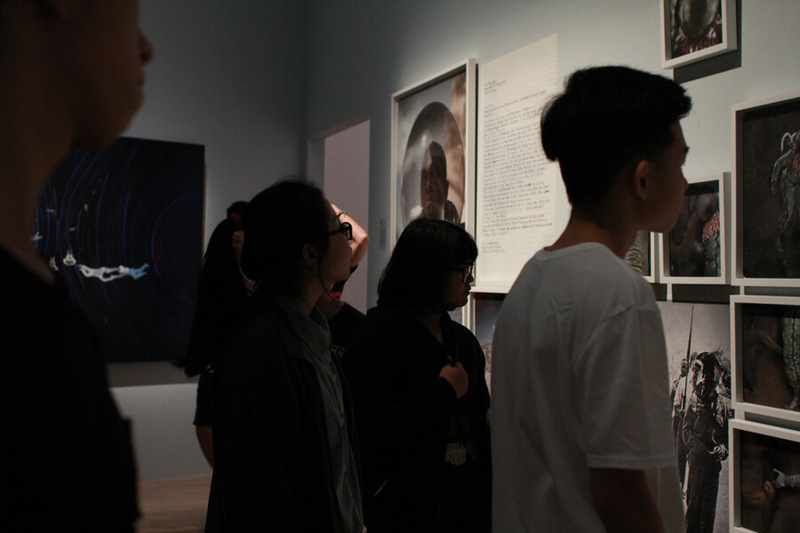 They were intrigued to be able to see the artefacts and works attributed to many of the famous figures they had heard or read about in the course of their education, and how the knowledge they acquire school can be extended and applied to understanding so much more of the universe. 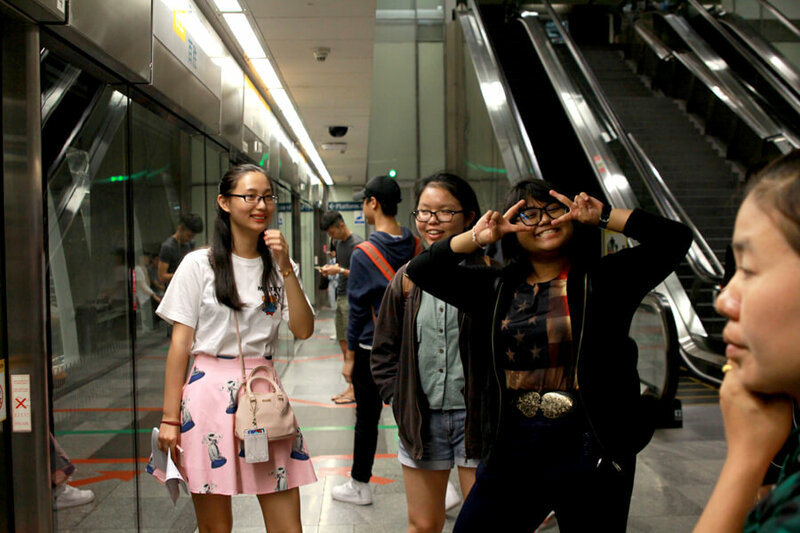 Upon official dismissal at 5pm, some opted to continue their own brief exploration of the museum, while others took walked around the Marina Bay and the Shoppes with their classmates. To learn more about our GCE O Levels course curriculum, click here. 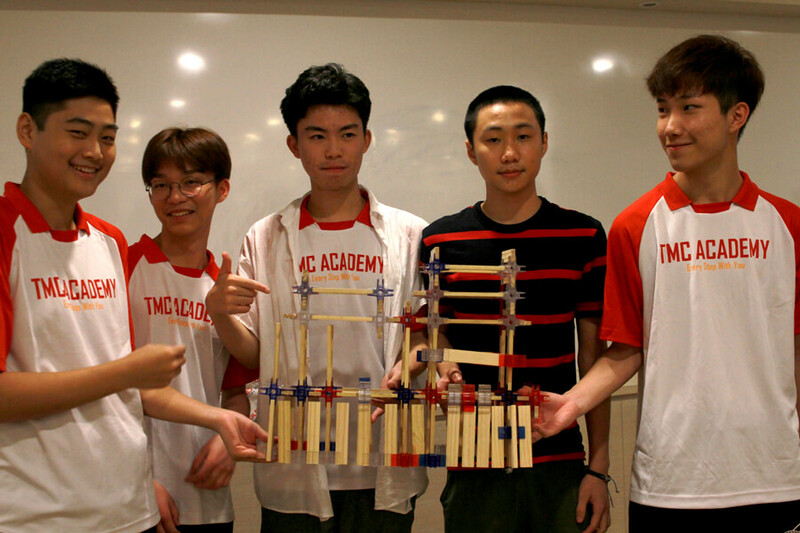 Why study for GCE O Levels at TMC Academy , you may ask? Click here to learn more.